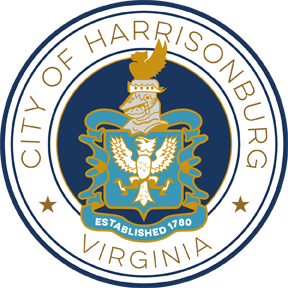 The City of Harrisonburg collects bulk and yard debris/leaves twice a month. These pickup days will be determined by your regular trash day. What day is my yard debris/bulk collection day? If there is a 5th Wednesday of the month, there are no pickups. Furniture, mattresses, appliances, or large items not taken on your normal trash day. Alternatives for unwanted items. Yard debris/leaves must be in biodegradable bags, loose in a dump-able container, or bundled and tied with string. Residents may set out a maximum of ten (10) yard debris items and a maximum of five bulk items on their scheduled day. 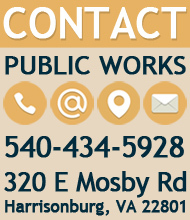 Please call 540-434-5928 if you have any questions. The City offers use (for a fee) of a 10 yard roll-off container to be used only for yard debris removal. Applicants must meet all requirements on the application. Please call 540-434-5928 for more information. Each year in the fall, the City assists the citizens with the disposal of leaves through an annual collection program. Leaves are vacuumed up Monday – Friday for six weeks excluding Veterans Day and Thanksgiving holidays. Before and after these assigned weeks, place your leaves in a biodegradable bag or 35 gallon container with no liner for assigned Wednesday pickup. More details.